Monsanto has come a long way from the floundering start-up company it once was. Today, Monsanto is the world’s leading manufacturer of GM seeds, and has its hand in practically every pot imaginable – the food industry, global agriculture, lobbyist groups, and many government entities. But what is Monsanto’s true impact on the world today? It seems that Monsanto’s prime directive is to spread the “good news” of genetically modified foods to the masses, and they are accomplishing this through every avenue possible. Monsanto funds a group of registered dieticians, called Leaders Engaged in Advancing Dialogue (L.E.A.D. ), for the purpose of expanding outreach programs and promoting GMOs. The New York Times reported that the biotech giant hired ghostwriters to write research papers regarding glyphosate, then subsequently paid scholars to claim they wrote the documents. Monsanto regularly pays big bucks to make the general public believe that GM foods are safe and necessary for our future. Not only is Monsanto spreading its GMO propaganda to the general public and taking over numerous companies, it has successfully infiltrated the US government. Monsanto has ties with the USDA, FDA, Supreme Court, Congress, Senate, and the Cabinet (read more here and here). This means that Monsanto has direct control over what laws are passed, what foods are deemed “safe,” and what we as consumers have a right to know. Is it any wonder that The Dark Act was passed so easily in August 2016? With having so much power and influence in our world today, what will be Monsanto’s impact on the world of tomorrow? 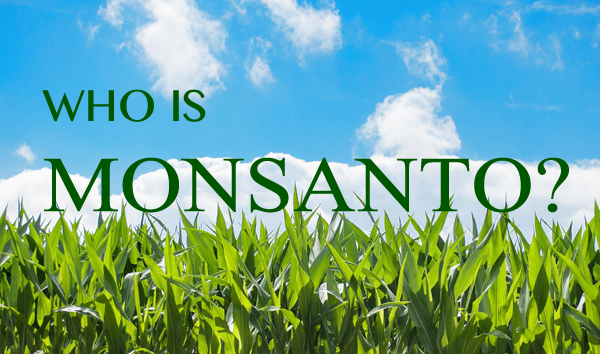 Read more about Monsanto in Monsanto: Part 1. Victoria is the Senior Clinician at the Well of Life Center for Natural Health. The Well of Life Center is a holistic wellness center that specializes in nutrition, chiropractic, massage services, and more. Celebrating their 11th year in business, the Well of Life Center has locations in Doylestown and Bethlehem, as well as a Spa & Fitness center in Ottsville, PA. For more information, please visit welloflifecenter.com.